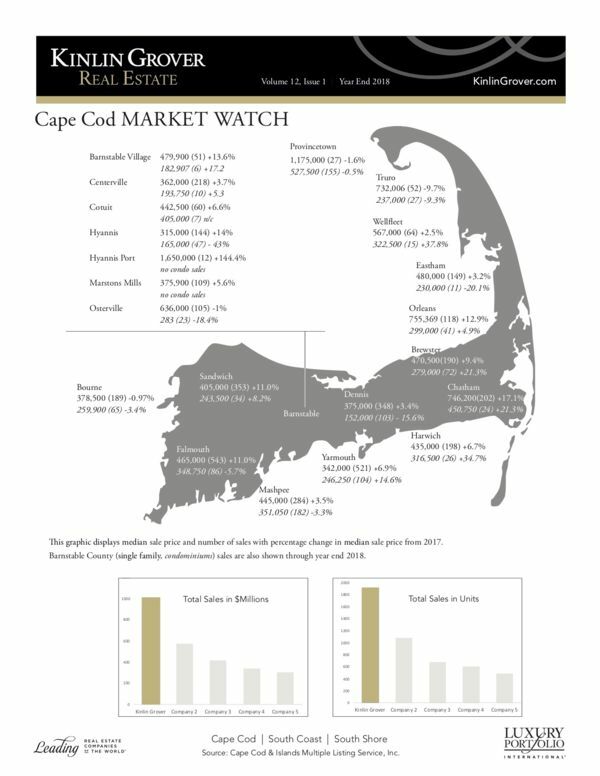 The big story for 2018 is that Kinlin Grover sales continue to outpace the overall Cape Cod market, with sales volume topping $1 billion for the first time ever, having increased by a significant 22% over 2017. While Cape Cod unit sales were down 3.6%, Kinlin Grover unit sales were up 12%. Sales prices continue to climb for all categories except land. In addition, the sales price distribution continues to skew towards the higher end, with the only decrease coming from sales less than $350,000. 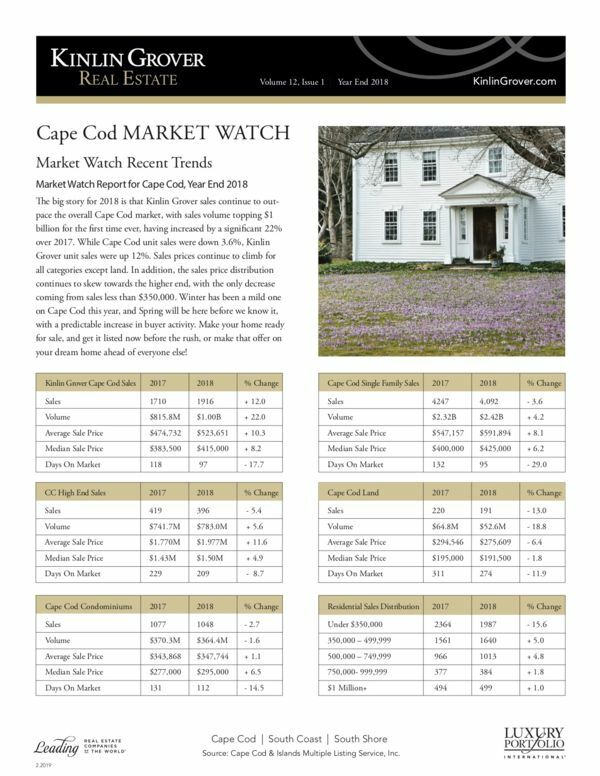 Winter has been a mild one on Cape Cod this year, and Spring will be here before we know it, with a predictable increase in buyer activity. Make your home ready for sale, and get it listed now before the rush, or make that offer on your dream home ahead of everyone else!